The Isuzu MU-X is available in 2 variants and 6 colours. Here are more Isuzu MU-X details such as prices, specifications and mileage. You can also check out the Isuzu MU-X on-road price and EMI. Our detailed Isuzu MU-X comparison further helps you compare the SUV with its rivals. DriveSpark brings you every Isuzu MU-X information you would ever need. The new Isuzu MU-X in its new avatar features a host of updates to the exterior design that gives a refreshed look to the SUV. Up front, the Isuzu MU-X features a redesigned grille, LED projector headlamps, LED daytime running lights, fog lamps with chrome inserts and a revamped bumper. 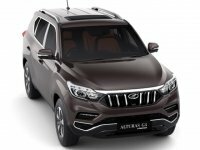 The side profile of the new MU-X SUV sports new diamond-cut alloy wheels, chrome treatment on the ORVMs, flared wheel arches and roof rails. The rear end of the SUV features a redesigned tail light cluster, a chrome strip running across the tailgate, roof-mounted spoiler with high stop lamp and black cladding on the bumper. The interior of the Isuzu MU-X features an all-black theme with piano black dashboard and chrome bezels around the centre console and door trims. The cabin is spacious and comes with all the premium bits such as leather-wrapped steering wheel and premium quilted leather seat upholstery. The Isuzu MU-X draws power from a 3-litre, four-cylinder diesel engine that produces 174bhp at 3,600rpm and 380Nm of torque at 1800-3,600rpm. The engine is mated to a 5-speed automatic gearbox. The 3-litre diesel engine packs a punch and delivers impressive performance. The best part about the engine is that the meat of the torque is delivered lower down the rev-range. This makes the MU-X a capable SUV in both on and off-road conditions. The 4x4 system makes the SUV even more capable on the rough terrains. The Isuzu MU-X returns a claimed mileage of 13.8km/l but it might vary depending on the driving and the road conditions. The Isuzu MU-X comes loaded with features such as a 7-inch touchscreen infotainment system, a new instrument cluster with MID, leather-wrapped steering wheel, leather seats, cruise control, engine start/stop button, electrically foldable and adjustable ORVMs, six-way adjustable driver seat and steering-mounted controls. The Isuzu MU-X also gets a host of safety features such as six airbags, ABS, EBD, electronic stability control, traction control, hill-start assist, hill descent control, ISOFIX child seat mounts and a rear parking camera. The Isuzu MU-X is a capable SUV with all the premium features and a powerful engine under the bonnet. The new avatar of the MU-X looks upmarket and premium and the interior also comes loaded with features. 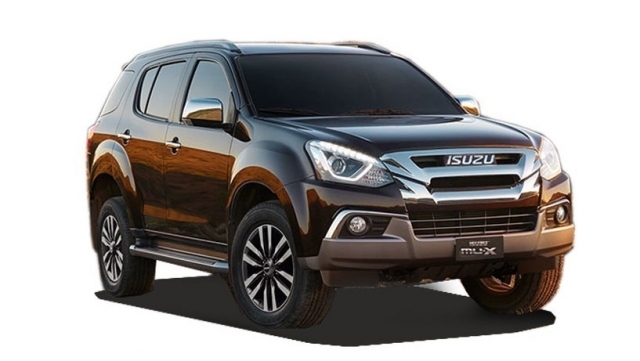 If you are looking to buy a full-size 4x4 SUV, then the Isuzu MU-X will be a good choice. What is the seating capacity of the Isuzu MU-X? The Isuzu MU-X is a seven-seater SUV with a comfortable third-row 50:50 split seat design. Is the Isuzu MU-X offered with four-wheel-drive system? Yes, the Isuzu MU-X comes with a four-wheel-drive system with Terrain Command control. 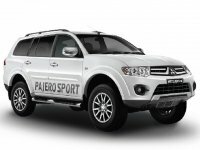 [carDesc] => Isuzu MU-X is currently offered in 2 variants. DriveSpark helps you discover all Isuzu MU-X model prices and technical specifications. We encourage you to browse through the research platforms to get Isuzu MU-X in India mileage, colours, performance, safety and features of all Isuzu MU-X variants on offer.